Lunacia is divided into tokenized plots of land, called TERRA, which can be purchased, rented out, and developed by players. 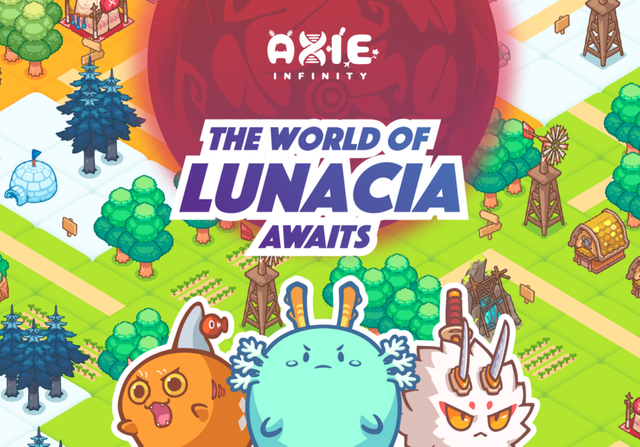 Lunacia is under attack — it’s up to you and your Axies to fight off creatures called Chimera while rebuilding and strengthening the Kingdom. How do you build Your Kingdom? There are a variety of land options available to purchase, based in different areas of the open map. Including roads, rivers, shops, farms. You’ll be able to build and host shops, produce / collect resources, and perform other customization and upgrade actions through building structures. Players can host structures on their territory. These structures will start simple but can be leveled up and expanded over time. Various resources and blueprints will be required to upgrade and customize structures. Each structure will require an Axie, or team of Axies to operate. Axies with specific characteristics will imbue the structures they operate with different capabilities. For example, a Mystic Axie might allow a potion shop to create highly advanced potions that are not available at other shops. 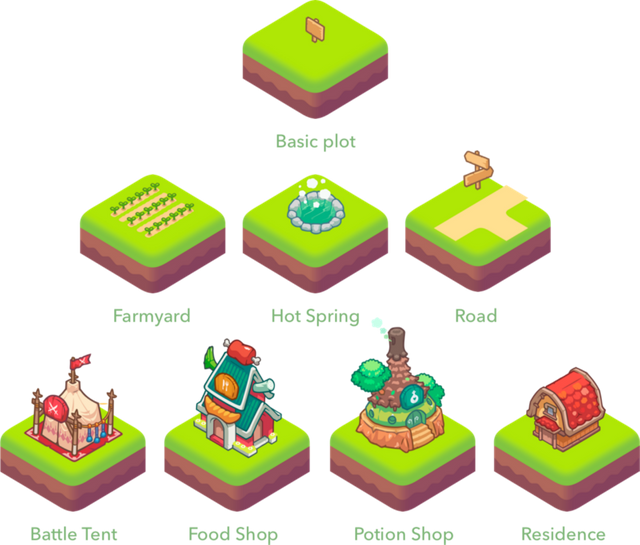 Resources will spawn in nodes across Lunacia and be used to upgrade both land and Axies. Landholders will have first rights to any resources that spawn on their land but after 24 hours, any unharvested resources that spawn on a player’s territory will be made available to the public. Landholders will receive a portion of all resources harvested on their land. Monsters called Chimera are terrorizing Lunacia. Players will be able to take on Chimera in real-time battles either alone or in groups. 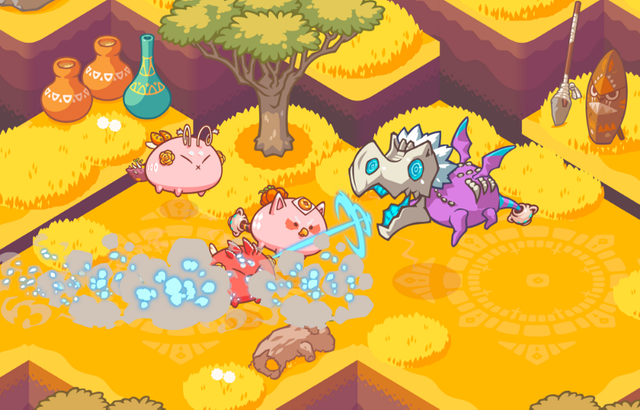 Chimera will drop an assortment of resources, items, and blueprints used to upgrade territory and individual Axies. Some Chimera drops will be limited edition tokenized items! In Phase 1, there are 17,217 plots of land available to buy. These are available through 4 purchasable crates, Savannah, Forest, Arctic and Mystic. 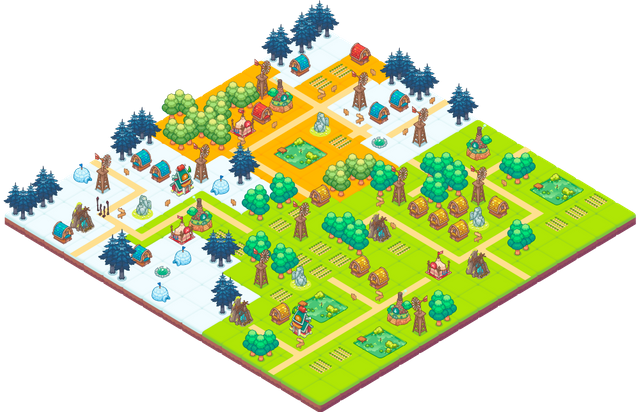 These give a plot of land in each relevant area, as well as a selection of items from Mystic, Rare and Common categories. As we go up the ranks from Savannah to Mystic, the land moves closer to the center, which is where most of the PVE aspects and raids will happen. Meaning Axies will have to walk across your land more if you are nearer the center, which means they can drop resources for you. 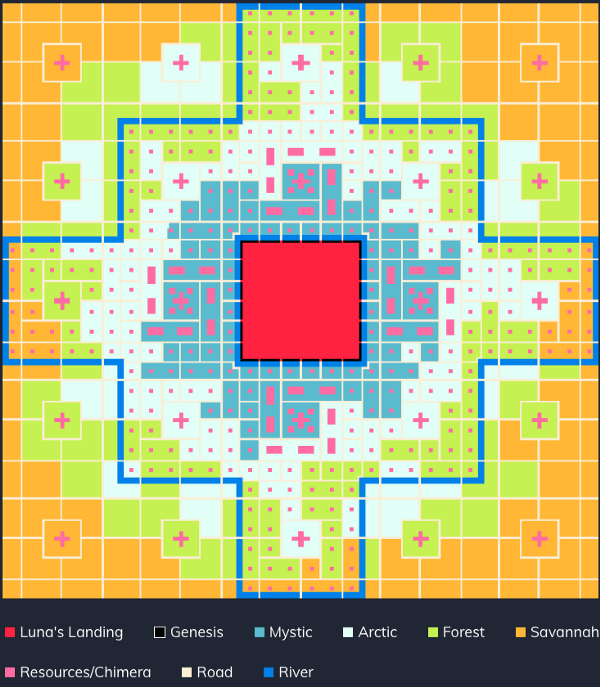 Genesis land is extremely rare and in the center of the map, capped at only 220 plots. These lands will be the hosting area for special content like Chimera Bosses and Raids. There will be rare bosses that spawn on Genesis Land and the owners of Genesis Land will get a cut of all the resources that are collected on their Land. I am sure it will be extremely valuable over time and will be host to some very rare events for only the elite, as well as amazing raid land. These parcels of land are going to be offered to influencers and community event winners I am sure! The Axie Infinity land sale is currently underway, buy your plot today before it's too late!